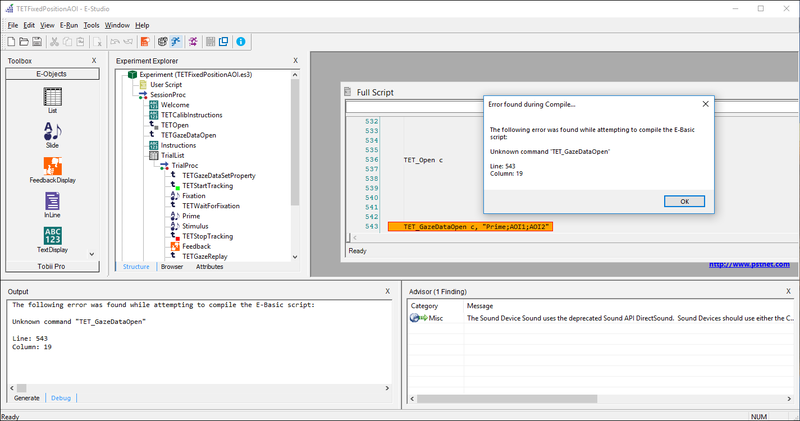 TETStartTracking does not have the parameter vTrackingMode (if specified, will be set to "Latch", "Immediate", or "Wait"). TETWaitForFixation does not have the parameter vHandleTracking (if specified, will be set to "Yes", "No", True, or False). TETCalibRegular does not have the parameter vCalibNumPointsOverride (if specified, will be set to "2", "5", or "9"). Use the following script to specify the number of default points in EET 3.1: TET_CalibSetDefaultNumPoints 2. The value of 2 can be changed with the other supported values of 5 and 9. The default number of points shown during calibration in EET 3.1 is 9. Confirm that no new PackageCalls that were added to EET 3.2 are called. 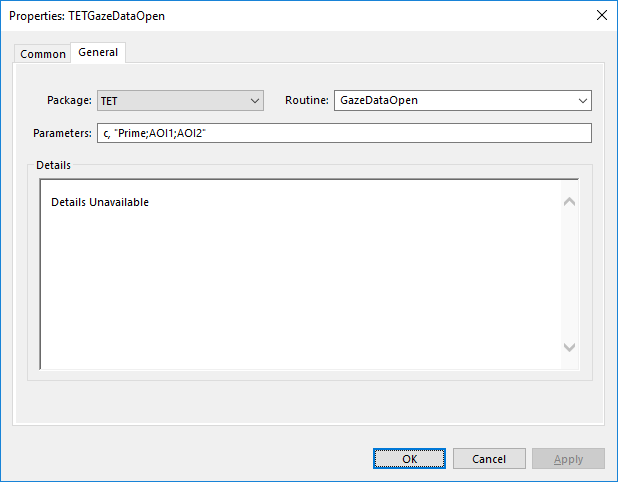 The image below shows how a PackageCall object from EET 3.2 that references the new GazeDataOpen routine appears if the experiment is opened in EET 3.1; notice that the Details area states "Details Unavailable". See INFO: SaveGazeData in E-Prime Extensions for Tobii Pro 3.1  for information on how to perform gaze data logging and replay in an EET 3.1 experiment. Any EET 3.2 experiment that has been opened in EET 3.1 and had the new GazeData-related PackageCalls removed will not generate any gaze data. Be sure to add the necessary EET 3.1 script and gaze data PackageCalls to the experiment, as described in the KB above, before running. Otherwise, no gaze data will be collected. Once the experiment is opened, any Tobii Pro Lab PackageCalls are disabled. 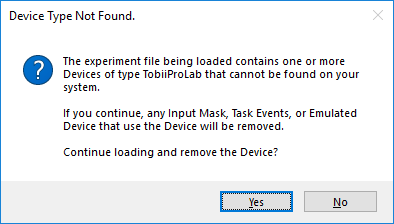 If the Tobii Pro Lab PackageCalls are kept in the experiment, they are ignored, and no runtime error occurs. However, PST recommends removing these PackageCall objects to avoid unnecessary E-Objects in a Procedure.